the creation of our Family Picture Wall! This self-portrait quilt is part of my sharing "three things about me". As we continue to spend the next week sharing things about ourselves with one another and getting procedures and routines established, this project becomes the anchor that reminds us throughout the year that we truly are a cooperative classroom and that as one little guy said yesterday: "School is like a home." I think we're off to a great start in Mrs. Reynolds' Second Grade! LOVE this, Val! What a cute idea! I'm not a teacher (tried subbing one time, it's not for me!) but I love this also!! That is just adorable! And what a fun way to get to know your students (and they you!). Great way to start the school year! Can I come and be in your class? 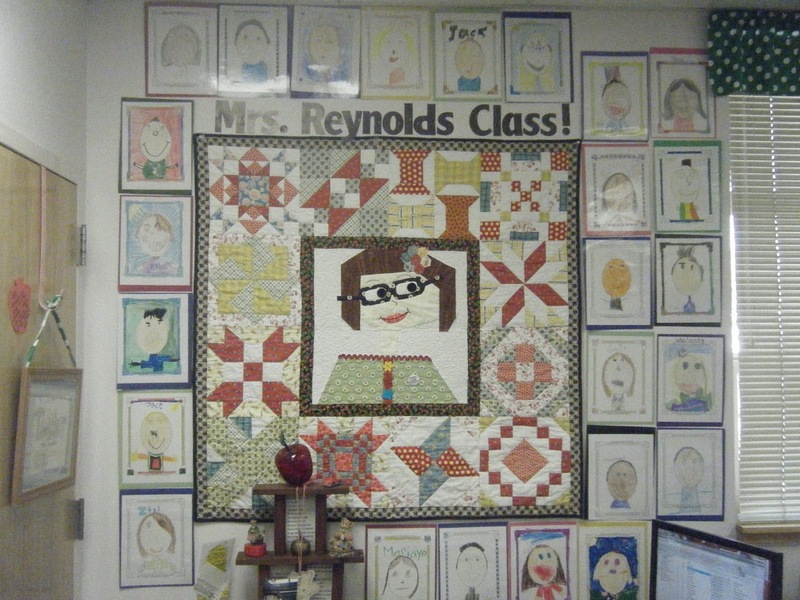 I know I would be smiling all the time looking at that beautiful quilt made with all those sweet portraits! I love this quilt. And that's a lovely idea for teachers. 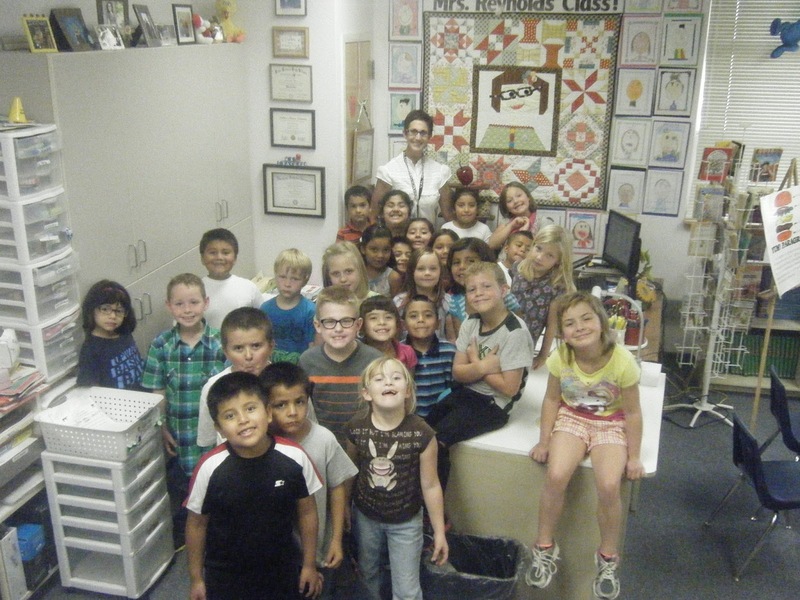 What a sweet quilt, and look at all those smiling faces! I am always amazed at the clever ideas teachers come up with. It takes a lot to keep young ones involved, and this sounds like a wonderful start. Plus it is cute! Ha ha. Sew cute! The kids must love it and it's a perfect way to start the year.